Experience: Sales, marketing and designing complete water system projects including water wells, pressure boosting systems, and irrigation systems. Mike has provided architects and specifiers with irrigation pump system designs and specifications for a broad range of projects for over 10-years. He also has extensive experience in the management of many irrigation projects. 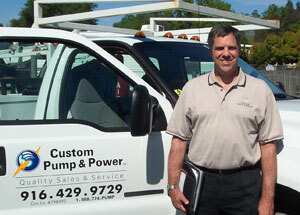 Experience: Industrial, union and private service specializing in pump and plumbing design. Education: Certified Welder - Cal-Trade Welding School. Certified Pipefitter Welder. 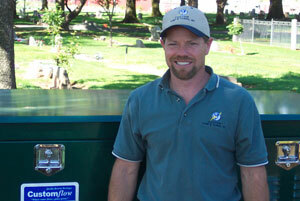 Pat is Custom Pump’s designer, fabricator and installer of Customflow Quality Booster Packages™. He is a qualified Millwright/Maintenance Mechanic with 20-years experience and a highly qualified pipe fitter, metal fabricator, and welder. Pat will be on hand to perform the project manager duties required to install the pumps, tanks and plumbing for your project. Pat has strong abilities in reading blueprints for plumbing and fabricating. He is also highly capable in roll grooving pipe for fitting of pipe, fittings and valves. Experience: Military, industrial, union, and private service firms. Ron handles complete electrical services including wiring, panel and controls modification, PLC and VFD with CAD computer technical training. Ron has a thorough background and understanding of electrical systems that will pertain to contracted projects. He has the technical training from various institutes and completed the contractors license exam for pumps and electrical. The project consists of panel modification, controls for solenoid and floats to control liquid level for water storage and booster pump protection. 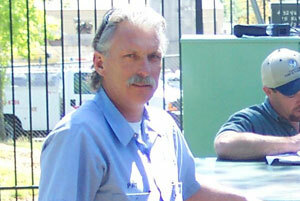 Ron supervises all electrical services and provides technical startup and training.